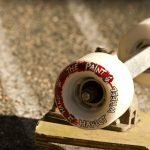 These wheels thane enough for you get lung cancer! 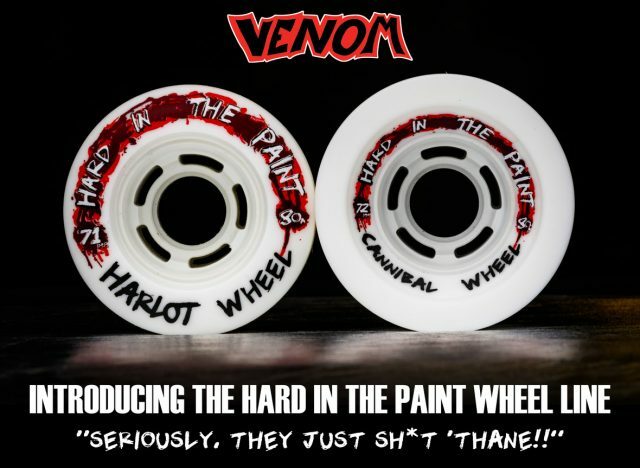 Seriously though, check these new Hard in the Paint series wheels by Venom out! 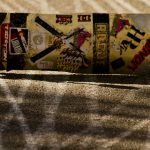 Some of the most hyped up, anticipated wheels of 2017 have finally been released! 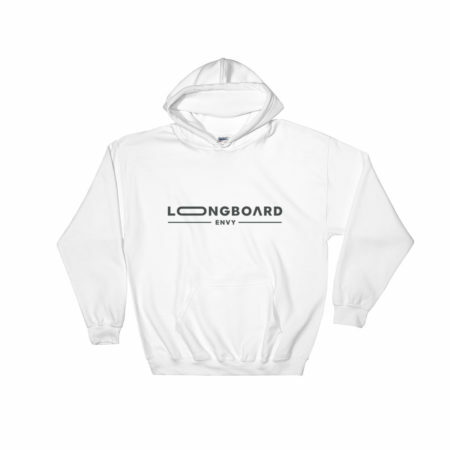 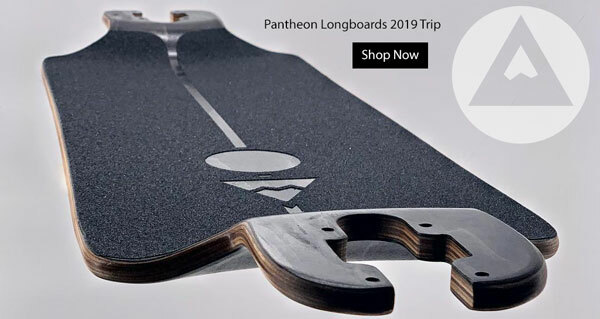 After 4 years of rigorous development including failed wheels and the accidental birth of the Mach 1 Cannibal which holds the world speed record on a longboard, the Hard In the Paint urethane has been released to the public. 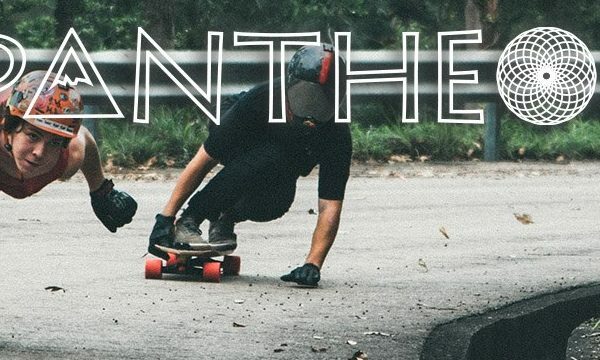 If you’ve ever wondered how the Venom guys do it in their videos, laying down some of the thickest, chalkiest, whitest cocaine-esque lines in the pavement, this is how. 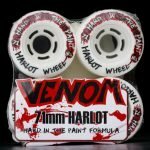 Venom took chalky freeride to a whole new level- at their factory, they researched the softest, least durable slide wheel formula they could come up with, and formed it into their two best-selling wheel shapes, the Harlot and the Cannibal. 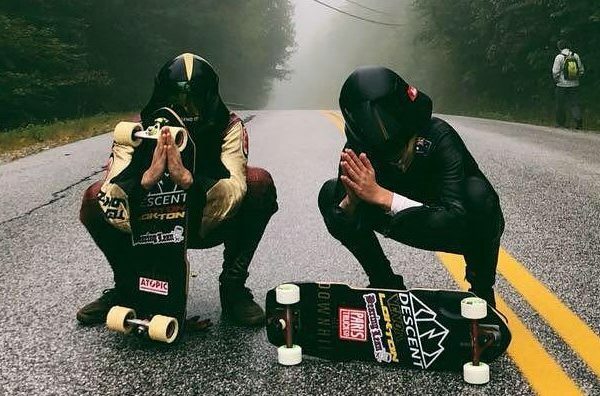 Where both wheels in their original formulas last weeks and take ages to core because of their unlimited durabilities, this new urethane formula is one you can core in one day. 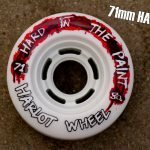 The 71mm Harlot has a contact patch of 32mm, which grows to 48mm as you wear them inwards, and are very offset for an incredibly drifty ride. 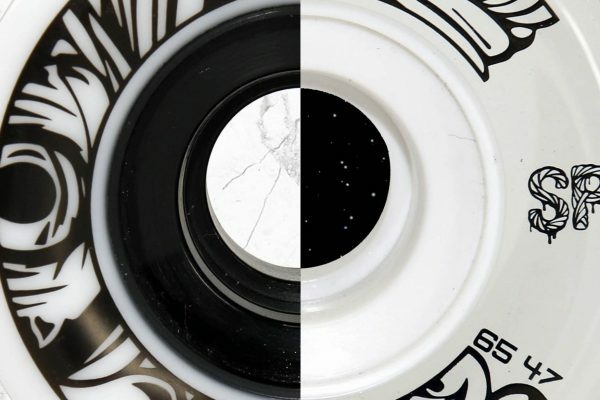 They’re fitted with the legendarily fast Cobra Core, Venom’s proprietary wheel core. 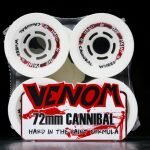 The 72mm Cannibal is a bit different- it’s a downhill grip wheel shape that’s made with an abnormally slippery urethane, and that makes for one of the greatest hybrid wheels to ever be created- it’s fast, but it’s also incredibly slippery for holding out those long drifts. 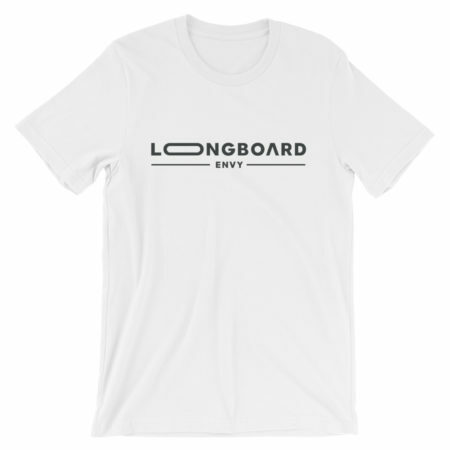 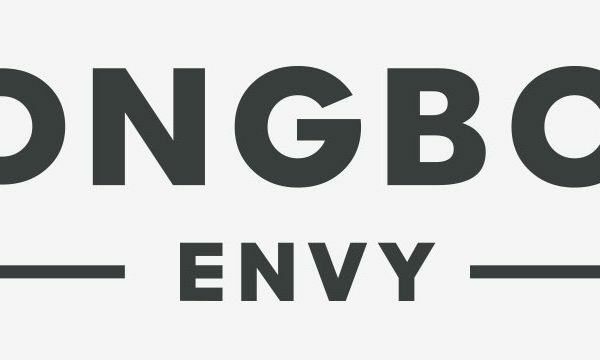 Best of all, you get to see the line that you took. 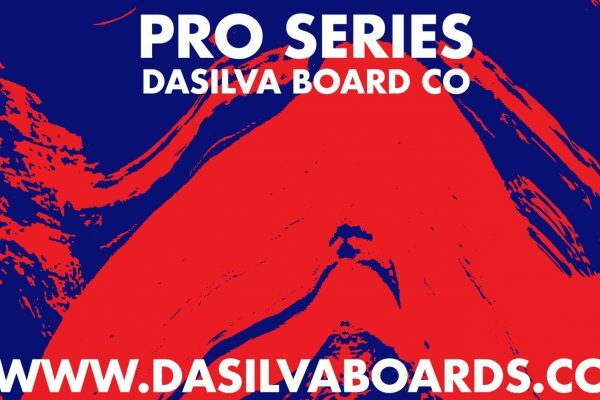 They’re 60mm wide for more grip than the Harlot, but will get narrower as you ride them more. 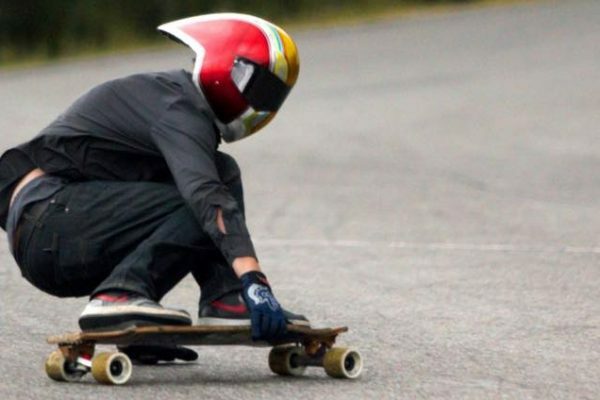 They’re also only slightly offset, so you’ll get that centerset grip that so many people love. 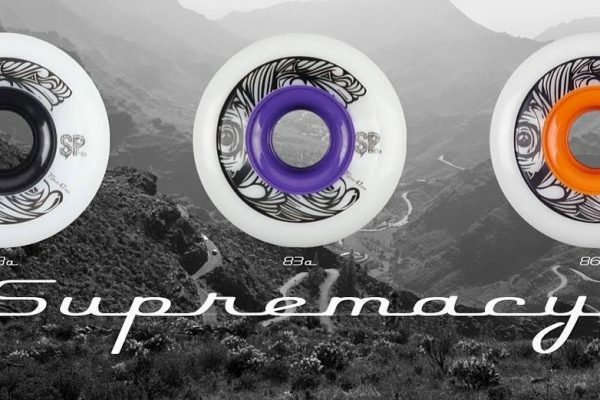 Fact of the matter is, these are the thaniest wheels to be released in wheels, and you absolutely should not wait to get a set. 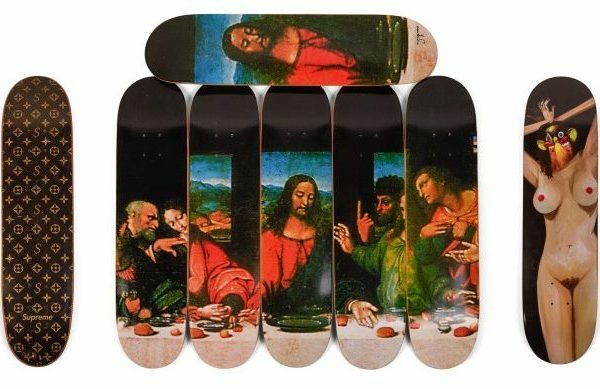 But be aware- they won’t last long, so save them for when you really need to show off.